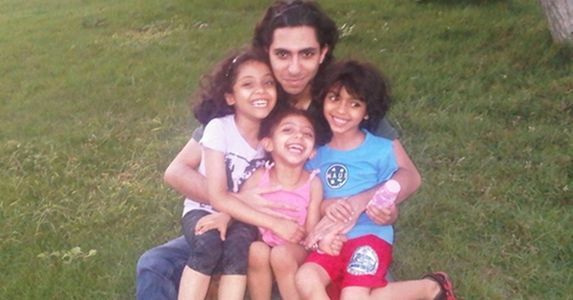 Raif Badawi is 30 years old, and is currently sentenced to 10 years in prison, 1000 lashes and a fine of US $266,630 for exercising his right to freedom of speech in Saudi Arabia. He founded an online forum for political and social debate in opposition of a government crackdown on use of social media by activists. Raif's wife and 3 young children, Najwa, Trad, and Myriam, have been forced to flee to Canada for their own safety. But once Raif's sentence has been completed he will be unable to join them, as he has been banned from travelling for 10 years, and from participating in the media once he has completed his prison sentence. Thousands of people like you around the world are taking immediate action to support Raif and his family. Join them in pressuring authorities to release Raif unconditionally and for his sentence to be quashed, saving Raif from the cruel treatment of the 1000 lashes. I am writing to request that you raise the case of Raif Badawi with King Abdullah bin Abdul Aziz Al Saud and His Royal Highness Prince Mohammed bin Naif bin Abdul Aziz Al Saud, Minister of the Interior. I urge the authorities to release Raif Badawi immediately and unconditionally, and for his conviction and prison sentence to be quashed with all charges against him dropped, as he is being held solely for the peaceful exercise of his right to freedom of expression and assembly. In addition, I call on the authorities to stop charging activists with charges such as “apostasy” punishable by death sentence, and to take steps to ease the crackdown on activists and their use of social media. In the meantime I urge that Raif Badawi be protected from torture and other ill-treatment including the flogging punishment, and given immediate and regular access to his family and lawyers of his choice and any medical attention he may require. Amnesty International has learned that Saudi Arabia will commence Raif Badawi's flogging sentence after Friday prayers tomorrow. He is to receive up to 50 lashes tomorrow, while the rest of the cruel 1,000 lashes will be carried out over a period of 20 weeks. Amnesty International considers Raif Badawi a prisoner of conscience and is calling for his sentence to be quashed and for his immediate and unconditional release. Yes! I would like to keep in touch with Amnesty International Australia to hear about their campaigns and help defend human rights around the world. By joining, I understand that my name, email and phone number will be shared with Amnesty International Australia.